HRD ministry forces Allahabad University to change its decision. 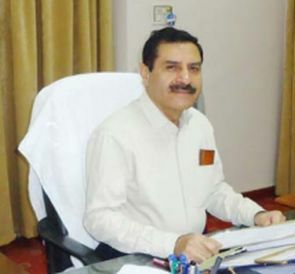 Alleging that 'political interference' has brought the administrative machinery of Allahabad University to a 'standstill,' its vice-chancellor has threatened to leave with his associates and said MPs or MLAs can be made VCs instead of academicians to toe the government line. 'This is a central university and used to be called the Oxford of the East in the past. There can be no possibility of the institution regaining its lost glory if political interference continues,' Allahabad University Vice-Chancellor R L Hangloo, who recently drew flak from Bharatiya Janata Party leaders over his handling of a students' agitation, told reporters. Professor Hangloo alleged that many politicians belonging to the Congress, BJP, Samajwadi Party and Akhil Bharatiya Vidyarthi Parishad, were involved in university affairs and the varsity will not grow if politicians interfere. 'We want to take the university on the path of excellence and this is a jolt to our aim. All my associates are saying this is a jolt to the university and politicians are hampering the university's growth. The political interference is a setback for the university,' the VC added. 'If politicians continue to interfere, we all will have to leave. Then government can run the university as per their opinion. Then it would be better to have MLAs or MPs as VCs in place of academicians,' Professor Hangloo said. The vice-chancellor was responding to questions about the varsity's decision, announced on Tuesday, May 10, to keep the offline option open for entrance tests for post-graduate courses in the upcoming academic session. The decision, whereby the university reversed its earlier stance that entrance tests would be held only through the online mode, is understood to have followed a meeting between some BJP MPs and Union Human Resources Development Minister Smriti Irani. The BJP MPs are said to have brought to Irani's notice that a number of students union leaders, including its vice-president and general secretary who belong to the ABVP, were on a hunger strike to press the demand for the offline option, saying it was important for candidates hailing from remote areas with poor Internet connectivity. Professor Hangloo said the HRD ministry should 'not interfere' in this because 'politics' is involved in it. 'First, there were only four persons on strike. And they were on strike because of their own problems and they don't think of the university,' the VC said. A group of BJP MPs and MLAs had on May 5 visited the varsity and criticised the VC for 'mishandling' the students' stir. They had taken exception to the university administration lodging a police complaint against the union leaders for staging a demonstration outside the VC's office earlier this month. Subsequently, a few BJP MPs met Irani and an ensuing communication from the HRD ministry is said to have prompted the varsity authorities to modify its decision. Professor Hangloo has been repeatedly accused by Allahabad University students union President Richa Singh of being partisan towards those owing allegiance to the BJP and the Sangh Parivar. In March, Singh charged the VC with ordering a 'politically motivated' inquiry against her on the basis of 'flimsy' complaints from her ABVP rivals. The latest crisis, however, witnessed the union leaders burying their differences and putting up a joint fight.